Tsar Feodor I was the second son of Ivan the Terrible, the first Tsar of Russia who had founded the Tsardom of Russia in 1547 from the Grand Duchy of Moscow. 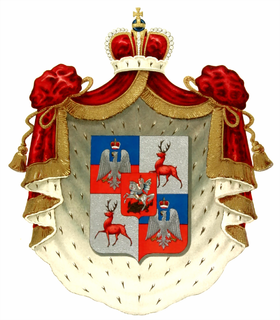 His elder brother, Tsarevich Ivan Ivanovich, had been groomed as the heir apparent since a young age and Feodor was never considered a serious candidate for the Russian throne. On 19 November 1581, Tsarevich Ivan was accidentally killed by their father during a fit of rage, making Feodor the heir apparent, and after Tsar Ivan's death on 28 March 1584 he was crowned as the Tsar of Russia on 31 May. 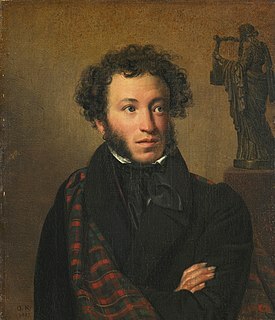 Feodor was pious and took little interest in politics, instead ruling through Boris Gudunov, the brother of his wife Irina Godunova, his closest advisor, and a boyar. 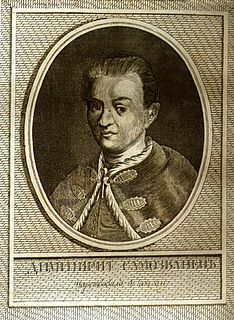 Feodor only produced one child, a daughter named Feodosia who died at the age of two, and when he died in January 1598, the Rurikid dynasty that had ruled Russia since the 800s AD became extinct. Gudunov, who had already acted as a de facto regent for Feodor, was elected his successor by a Zemsky Sobor. Phillips, Walter Alison (1911). "Russia" . In Chisholm, Hugh (ed.). Encyclopædia Britannica. 23 (11th ed.). Cambridge University Press. pp. 896–897. 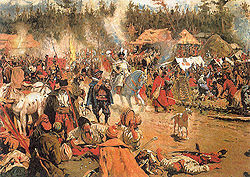 The Polish–Lithuanian–Muscovite Commonwealth was a proposed state that would have been based on a personal union between the Polish–Lithuanian Commonwealth and the Tsardom of Russia. A number of serious attempts, by various means, to create such a union took place between 1574 and 1658, and even as late as the latter part of the 18th century, but it has never materialized due to incompatible demands from both sides. Minin and Pozharsky is a 1939 Soviet historical drama directed by Vsevolod Pudovkin and Mikhail Doller, based on Viktor Shklovsky's novel "Russians at the Beginning of the XVII Century".